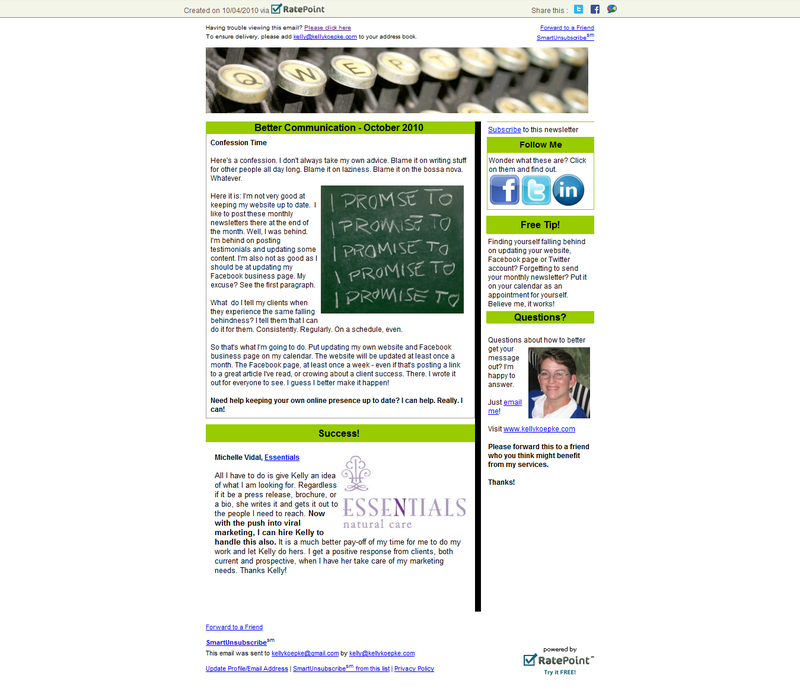 Here’s my October 2010 Better Communication Newsletter. Sign up on the right to subscribe. This entry was posted in Uncategorized on November 18, 2010 by kellykoepke. 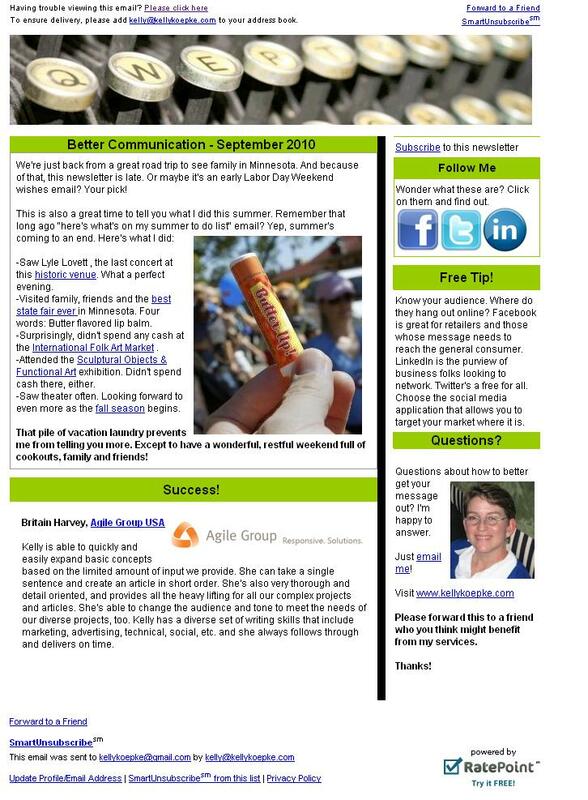 Here’s my September 2010 Better Communication Newsletter. Sign up on the right to subscribe.